Explore London on the National Cycle Network – a system of routes along traffic-free paths, quiet lanes and traffic-calmed roads linking our towns and cities, our countryside and places of interest. More and more of us are turning to cycling, whether as an inexpensive, healthy and environmentally friendly means of getting to work or school, or as a way of exploring Britain's towns, cities and countryside. More than 75% of UK residents live within two miles of the National Cycle Network, and a continuous programme of development led by Sustrans means it is growing all the time. This exciting publishing partnership brings together the expertise of two of Britain's great pioneering transport organisations to create a fantastic new series of seven regional guides. 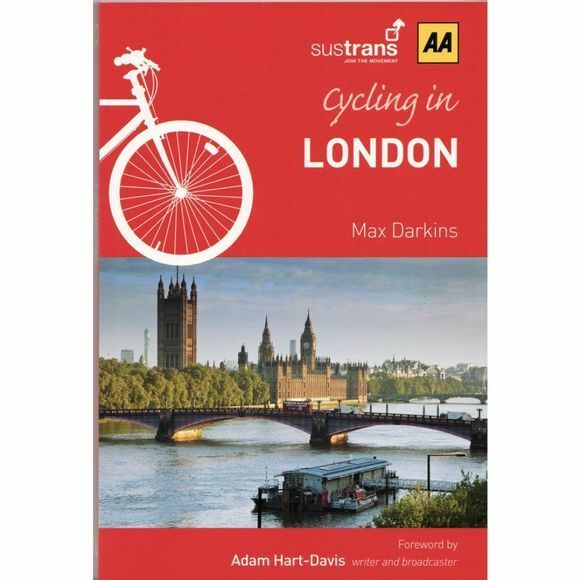 With clearly marked maps, recommended rides, and details of what to see, the Cycling in... series provides all the information you need to discover the best of Britain with the wind in your hair, up close and personal, without spending a fortune on fuel.